You are currently browsing the category archive for the ‘economy’ category. As the bailout crisis talks continue, and the common people wait to find out what particular flavor of long hard road awaits them, one might wonder if there’s any way that we the people could have foreseen this coming. The answer is yes, and the key incident to remember is: Nicholas Leeson and Barings Bank. You may remember Mr. Leeson: he was the young trader who undertook risky deals that went bad and the resulting losses destroyed Barings, an investment bank that was over two centuries old. The incident shook the markets, but the focus at the time quickly shifted to controlling individual traders, away from the obvious lesson about the shaky fundamentals of investment banking itself, and the incident seems to have been forgotten entirely when Republicans Phil Gramm and James Leach championed the Gramm-Leach-Bliley Act, which undid the Glass-Steagall Act’s protections that had been in place since the Depression. Thinking about Leeson reminds me in turn of Frank Corder, the man who stole a light plane on September 11, 1994, and crashed it into the White House. It does not take an expert to extrapolate from this event the events on the same day seven years later. But as we all now know any such lesson was not learned – not by U.S. security experts, anyway. Once you begin to see the kind of myopia that afflicts experts, you can start to see it in all sorts of places. And it validates two idea behind the World Without Oil game: one, that a common citizen can see some approaching futures more plainly than experts can; and two, that a sufficiently large group of everyday citizens can outperform experts in certain challenges, especially those of imagination. The key is creating a seriously playful motivation to bring the citizens together, and a seriously playful space where they can collaborate. Should some tiny fraction of the money looming to be spent on the credit crisis go toward crowdsourcing views about what the next crisis will be? I think we should get that game started right away. Image by Mike Licht, Notionscapital.com via Flickr. While the perps express shock at how much collateral damage their greed is doing (rather like termites in a collapsing house), let’s all take a calming minute to honor the heroes of this crisis – the people who did what they could to actively counter the devastation. Who are they, you might ask? The people who ride bicycles. The people who take transit. The people who bought more fuel-efficient vehicles. The people who drive the speed limit or less. The hypermilers. The people who plant gardens. The people who localize their food and energy. The people who invest time in their communities. The people that took staycations. The people, in short, who did their own math, gauged the weather for themselves, and took positive action ahead of the crisis. The very things prescribed by the World Without Oil game (and taken to heart by many of our players). How did they help? Quite simple. By reducing our demand for oil, these people have helped to drop the price of oil and thus ameliorate this year’s fuel price hike. 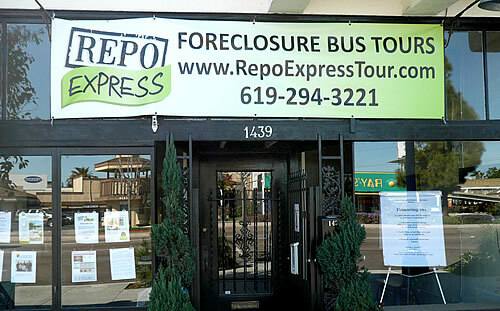 The fuel price hike, of course, is part and parcel of the foreclosure crisis: it wasn’t just that people couldn’t afford their ballooning mortgages, it was the three-punch combo of mortgage + fuel prices + food prices that really knocked ’em down and out. Plus of course, by adapting in a socially conscious way, these people have made their lives bailout-resistant. Individually, each contribution is small, but collectively they are quite significant. Large enough, anyway, to fill up our transit systems, calm our highways and empty our greenhouses. The self-reliant individual used to be a proud model of American citizenship, good stewardship the epitome, and self-sufficient independence the backbone of the American character. When was it exactly that that model was replaced by the lowest-cost-at-any-price consumer, and the drill-anywhere bail-me-out spirit became our national standard? Photo by Pandiyan via Flickr. Responding to the crisis of the World War I and II years, people planted Victory Gardens. By raising their own food, citizens cut the demand for outside food and saved the fuel that would otherwise be needed to bring food to them. More important, they increased the resilience of the economy (by decentralizing food production, by being able to make their own decisions about distribution, and so on). And most important of all, they thus became an active part of the war effort – “Food is Fighting!” as several government posters succinctly put it. One result: an extraordinarily unified country. Now we fast-forward to 2008. Whether or not the government chooses to acknowledge it, there’s another crisis going on – or more precisely, a concatenating and synergistic series of crises with feet already in the door. And many people are responding appropriately: by planting the Victory Gardens of 2008, by riding bicycles and taking transit, by driving efficient cars and hybrids, by eating locally, by building green, by cutting waste, by building communities and debating solutions, and so on. The differences between then and now are notable – and to my mind, ominous. Then, these citizen actions were actively encouraged by The Powers That Be, which tallied their contributions and recognized them as important. Then, the White House boasted its own Victory Garden. Today, however, these citizen actions are actively discouraged by the government in favor of Consumerism As Usual, and the contributions these citizens are making are not recognized or even tabulated. Instead, we hear the “drill!” mantra, even though the citizen conservation approach has the potential to produce (via saving) more than 10 times the energy that drilling would net, in a quarter of the time. And once again the potential to unify the country, not divide it further. In the World Without Oil project, we simulated the first 32 weeks of an global oil shortage. In the simulation, the government did very little and it was up to the people to crowdsource their own solutions to the crisis. Unfortunately, as with many other revelations from World Without Oil, government inaction seems to be coming true. Will it be up to the people to crowdsource their way into a viable and better way of life? The good news is, we’ve already started. Recent comments by prominent figures (such as Phil Gramm) that the U.S. credit crisis, oil crisis, recession etc. are “psychological” have generated significant backlash (Gramm lost his job, for example). The World Without Oil game has a unique insight into this, actually. So, yeah, the problem is psychological. Policymakers who can only look from the top down are psychologically unable to see the value of a crowdsourced, collectively intelligent, bottom-up view such as WWO. They don’t truly understand the problem, and thus disconnect themselves from the solutions or any hope of meaningful individual action. “On oil, analysts are skeptical that the G-8 leaders – representing the United States, Japan, Britain, France, Germany, Russia, Italy and Canada – will come up with much beyond urging major petroleum producers to boost output” – um, does it strike anyone else as naive to ask sane businesspeople to work harder and invest more money so as to undercut their own price for a commodity they only have a finite supply of? The reaction to these pleas, BTW, has pretty much been what any pusher says to his john. Photo by rednuht via Flickr. The mainstream media is catching up to World Without Oil’s vision for an oil-challenged future. Experts are “shuddering at the inflation-fueled chaos” and “foreseeing fundamental shifts in the way we work, where we live and how we spend our free time.” “You’d have massive changes going on throughout the economy,” said Robert Wescott, president of Keybridge Research. “Some activities are just plain going to be shut down.” Push prices up fast enough, said Michael Woo, a Los Angeles Planning Commissioner, and “it would be the urban-planning equivalent of an earthquake.” And S. David Freeman, president of the L.A. Board of Harbor Commissioners, said “The purchasing power of the American people would be kicked in the teeth so darned hard that they won’t have the ability to buy much of anything.” Do you remember the abandoned cars in WWO? Experts support this and offer a rough number: 10 million abandoned cars. Read all about it in this LA Times article by Martin Zimmerman. Graphic from the article. Courtesy of New Scientist, an interactive graphic about oil flows (and chokepoints) across the globe. Nice, but I wish it had included how oil flows will be changing in the next ten years… and I can’t believe their security risk assessment does not mention Nigeria at all, where oil flows are regularly disrupted by rebels. Most recently, a few men in a speedboat managed to take about 200,000 barrels a day off the global market. The truth can finally be told. Those weren’t anarchists torching cars in Kalwithoutoil’s video for Week 4. That was a smokescreen (so to speak) to cover up arson fraud. And reality slips another few notches closer to fiction. “Americans are angry about the economy, I’ve come to believe, in a new and profound way…. our anguished cries may be fueled by our unwillingness to accept an unmistakable message the economy is now sending us: We must fundamentally change our behavior.” From a column by Chris O’Brien in Sunday’s San Jose Mercury News. He goes on to prescribe the ‘casserole economy’: “Simplify. Have more discipline. Begin to do the things you’ve known all along you should be doing, but haven’t either out of denial or inertia or because cheap gas allowed you to avoid them.” He quotes Kit Yarrow, economic psychologist at Golden Gate University: “Oddly enough, I think there is a huge silver lining. I think people will be less wasteful.” And Chris calls for government leaders to restore our tattered social safety nets and to galvanize the Victory Gardens of the 21st century. In short, he sounds just like the voice of experience talking about the lessons of World Without Oil. This is the point, folks, where the World Without Oil game wants to cease being prophetic. We were supposed to play it first, then live it differently. As the next stage of the crisis looms ahead, let’s focus hard now on that “differently” part. This is not a game, cont’d. “Oil prices raise cost of making range of goods . . . Hard choices all over . . . profits suffer, prices rise, workers’ hours are cut . . . airlines, shippers and car owners are no longer the only ones being squeezed . . . companies that make hard goods are watching their costs skyrocket . . . unpleasant choices . . . the sense that many companies may be hitting a wall is palpable . . . cutting jobs at an accelerating pace . . . more dire action may be in store . . . since last spring, the average profits of the nation’s corporations have declined at an annual rate of nearly 6 percent . . . ‘starting to be confronted with unprecedented price increases’ . . . ‘these surges in energy prices are just one surge too many’ for companies to handle. More news that sounds eerily like World Without Oil, from a front-page above-the-fold article today in the New York Times. I’m traveling, slowly making my way to Stockholm for Stockholm Challenge Week next week, noting the irony as gallon after gallon of petroenergy turns to vapor in my wake. Looking for something to do to while away the hours while our fully loaded plane sits idling on the tarmac for hours, I look in the seat pocket for a magazine – nothing. So I find a flight attendant and ask her if there are any extra issues, and she says no, they get one per pocket these days and nothing more. Any other magazines? No, they were the first frill to go, she tells me, way back in 2001. I make some sort of sympathetic noise, about how it must be tough to try to do her job with less and less, and now with oil prices rising so fast, and suddenly her guard goes down and I see how terrified she is. She practically grips my arm. She knows that soon she is going to lose her job. The thing is, I know this too. It’s right out of World Without Oil. If only she had played the game, I can’t help thinking, she would at least be more ready for this, might feel less alone. She and OrganizedChaos might have really bonded. As it is, all I can do is tell her not to worry, I’ll scrounge up my own magazine. Here they are again: real-life headlines that look as though they come right out of World Without Oil. I don’t want to see headlines like these. The question is: is the WWO game helping people adjust to the new economic reality they describe? And – is the game helping to create other realities as well?